IT systems failure left users without access to online and mobile services. 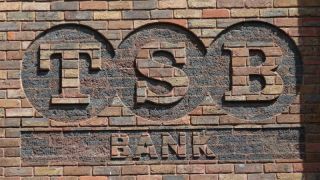 The Chief Executive Officer of TSB, Paul Pester, is stepping down, after what the media describe as an “IT debacle” at the bank. A few months ago, the back attempted to move its data to a new computer system. The attempt backfired, leaving the bank’s users without access to online banking services for a couple of weeks. It was said that the bank still hasn’t worked out all the kinks in the system. The weird part is – this isn’t when Pester called it quits. It was later in August, when the bank faced another 24 hours of problems. Pester was in charge for seven years. On Monday, the bank apologised to customers that faced disruption in their online and mobile banking services. TSB chairman Richard Meddings will jump in the hot seat after Pester’s departure, until someone else gets appointed. Mr Meddings told the BBC: "Although there is more to do to achieve full stability for customers, the bank's IT systems and services are much improved since the IT migration. Paul and the Board have therefore agreed that this is the right time to appoint a new CEO for TSB." BBC also said that people saw Pester as a ‘victim of circumstances beyond his control’, given that Sabadell, TSB’s Spanish owners, oversaw the building of the system and was convinced it was ready. IBM, on the other hand, said the system wasn’t tested enough and that Pester ‘came across as complacent’. The IT debacle cost TSB £176m and 26,000 customers closed their accounts.